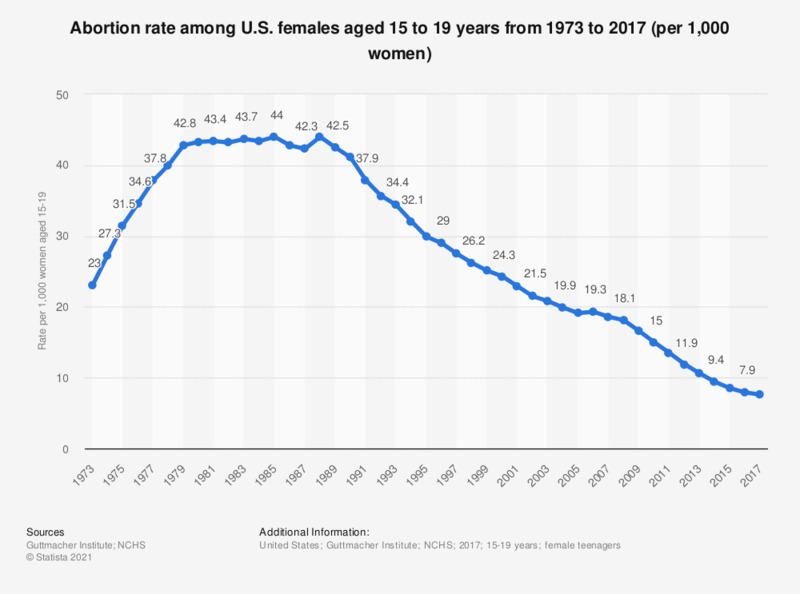 This statistic depicts the abortion rate per 1,000 U.S. females aged 15-19 years from 1973 to 2013. According to the data, the abortion rate fell from 44 abortions per 1,000 U.S. females aged 15-19 in the years 1985 and 1988 to 10.6 abortions per 1,000 U.S. females aged 15-19 in the year 2013. "All rates are the number of events per 1,000 women aged 15–19." Statistics on "Pregnancy in the United Kingdom"